A bold, modern take on traditional Fair Isle. 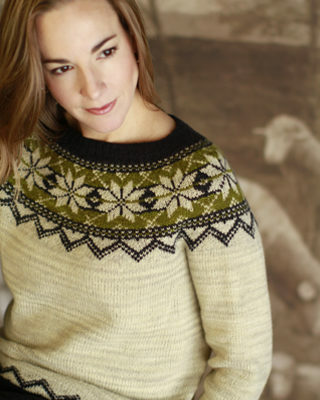 The large scale colorwork keeps the knitting approachable, and freshens up this classic motif at the same time. 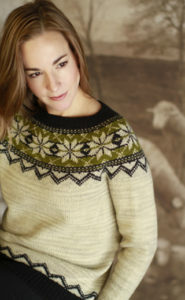 Knit in-the-round from the bottom up, with sleeves joined at the underarms, and ending with a stranded yoke, this design is perfect for seasoned colorwork knitters and adventurous beginners alike!